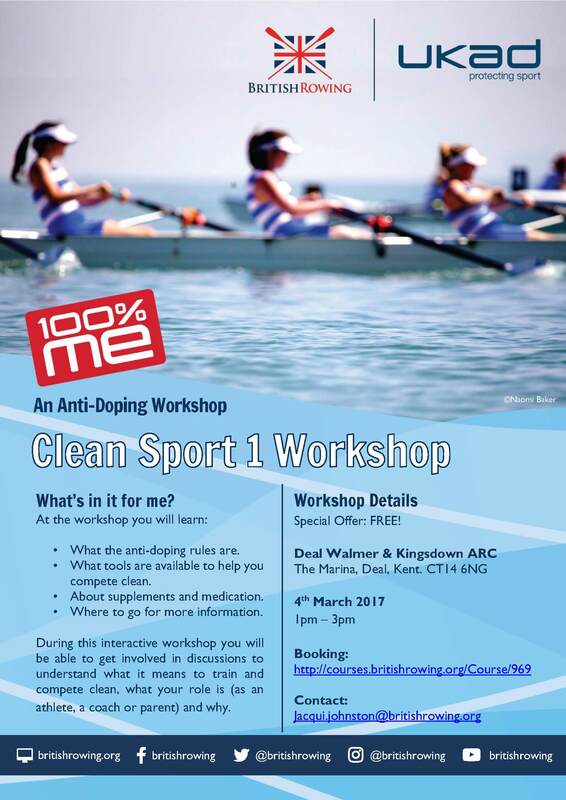 This week saw Dover Rowing Club members involved in international and county indoor rowing competitions. 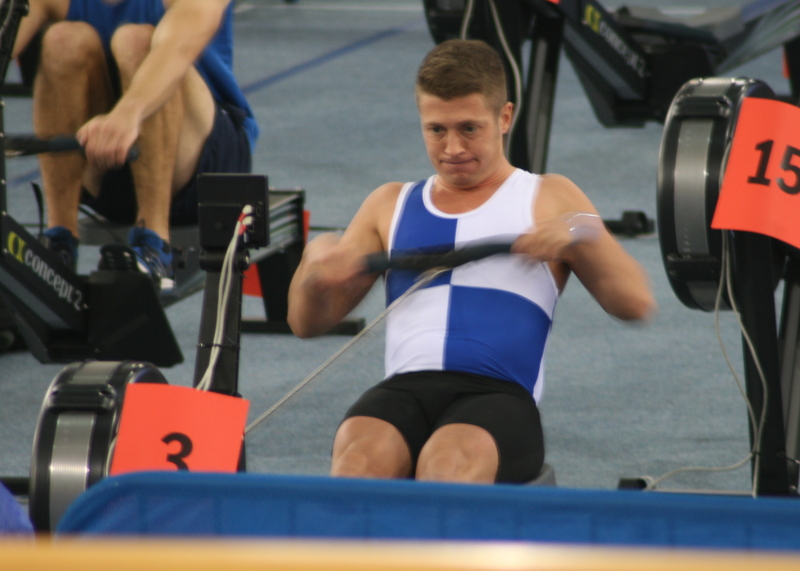 Dover’s diminutive powerhouse Chris Price was in action in the Senior men’s light weight 2km, 30 – 39 years, in the European Indoor Rowing Championships held at Stade Sebastian Charlety, Paris. Price was hoping to improve on his time from the British Championships but found himself off his desired pace. After initially hitting his early split times he fell behind his target finishing in 7 minutes 16.7 seconds, securing 14th place. Earlier in the week Dover’s Junior section was in action in the Kent School Games. Dover’s DGSB contingent of Cameron Mackintosh, Thomas Stothart, Austin Mills and Chris Hall had qualified 2nd in the relay for the Boys U18 competition, 20m behind the King’s School Canterbury team they had beaten narrowly in 2016. Hall and Mills also qualified for the individual 2km finals with Hall highest placed in 5th. Mary Newcombe qualified in the relay event for the Girls U18 competition in the history making first girls team to represent the Boy’s Grammar School at rowing. In the finals Hall managed to improve 2 places to take 3rd in a personal best time of 6 minutes 54 seconds with Mills also setting a personal best of 7 minutes and 4 seconds. Stothart, having narrowly missed out on the individual competition final, formed part of the team combined event with Hall and Mills. Stothart posted a personal best time of 7 minutes 8 seconds helping to secure a DGSB victory for the Dover District Team. Newcombe also posted a personal best of 8 minutes 12 seconds in the team combined event with her team to taking 3rd place. 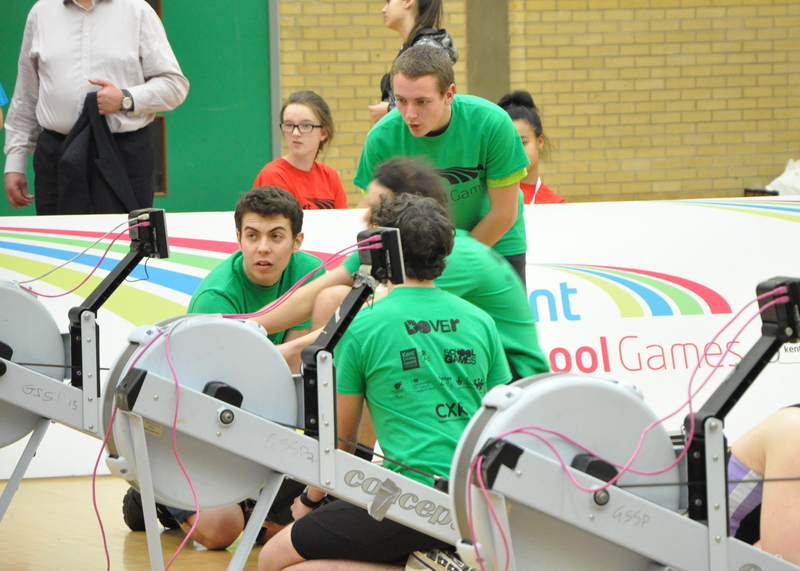 In the relay sprint Mackintosh stepped aside to allow a higher ranked DGSB rower take his place in the team as they looked to overcome the strong King’s team. In the frantic 4 minute race sharp changes and a determined effort saw the DGSB squad complete 1349m securing an 8m winning margin for their 2nd team victory. Newcombe’s relay squad secured their 2nd medal taking 3rd overall. 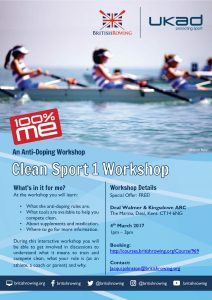 Dover Rowing Club would like to congratulate all Dover District Rowers for their performances in the Kent School Games.